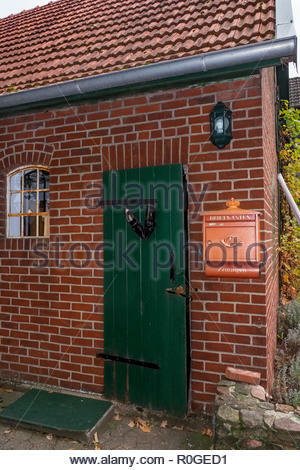 A pair of shoes attached to an old door beside an original-style Deutsche Post box on a brick house. 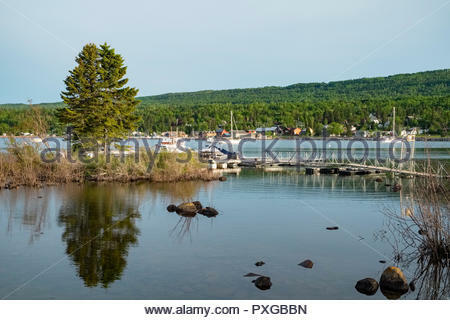 Boat dock and harbor at Grand Marais on the north shore of Lake Superior, Minnesota, USA. 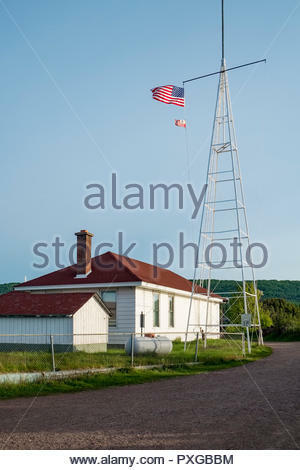 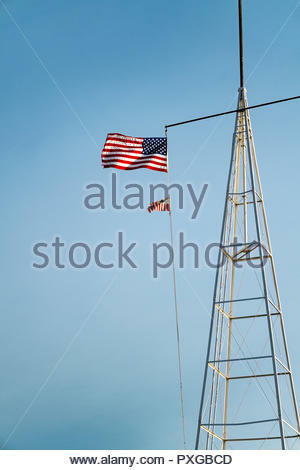 American and U.S. Coast Guard flags fly on radio tower of Coast Guard Station in Grand Marais, Minnesota, USA. 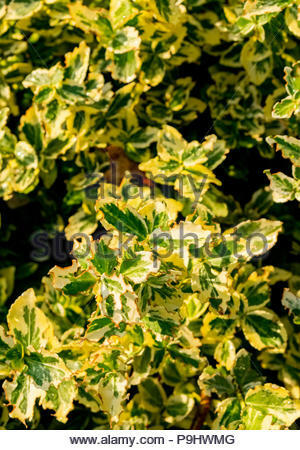 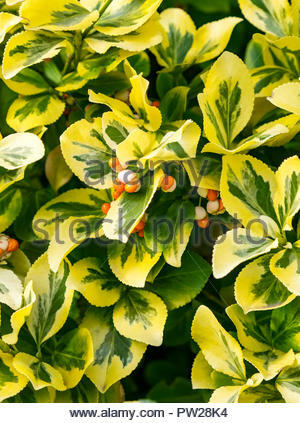 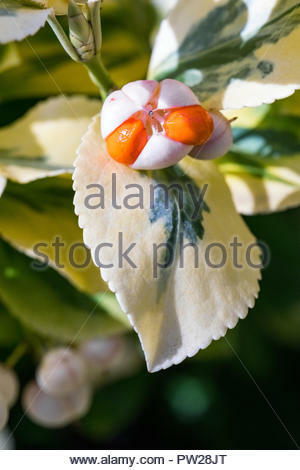 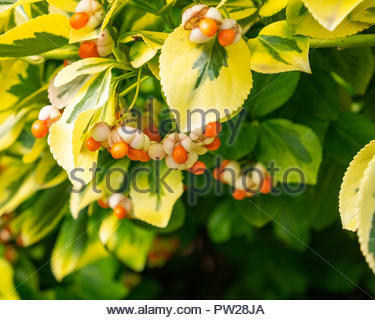 Euonymus fortunei (Fortune's spindle, winter creeper) seeds ripening in autumn. 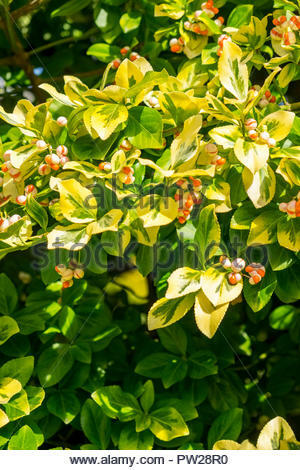 Euonymus fortunei (Fortune's spindle, winter creeper) seeds ripening in early autumn. 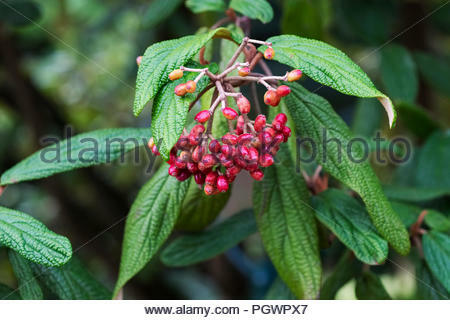 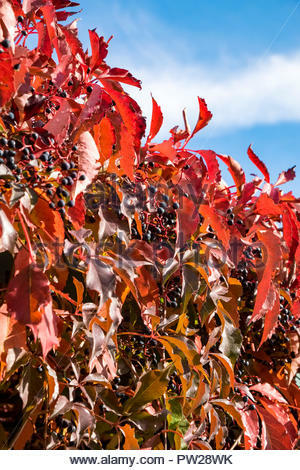 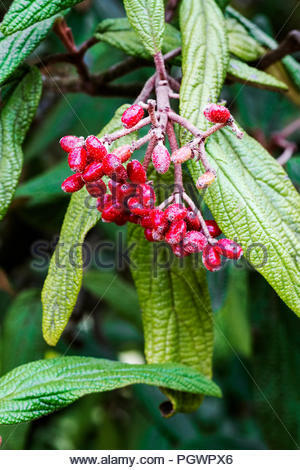 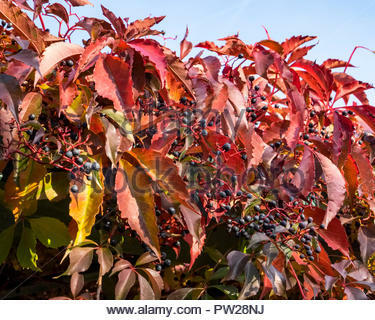 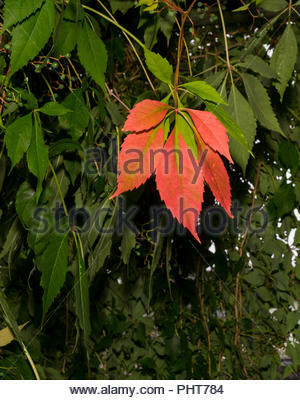 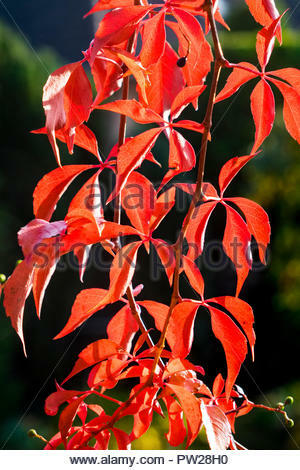 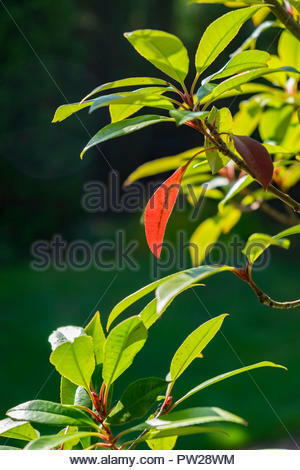 Photinia fraseri, Red Robin, ornamental, tree, shrub, showing leaf in October, Germany. 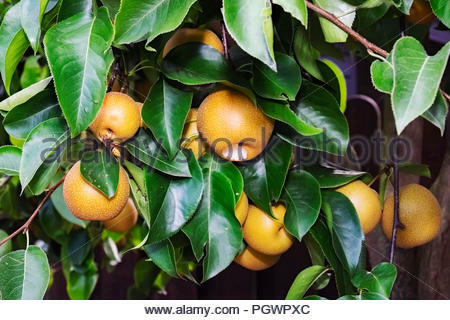 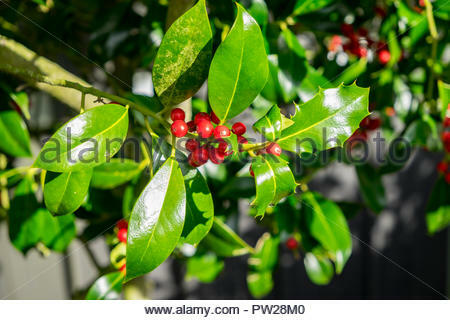 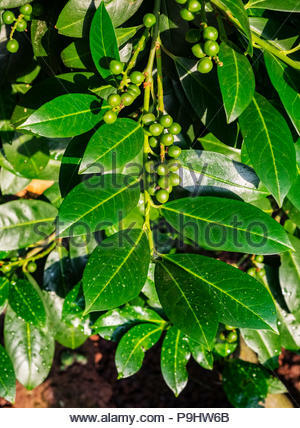 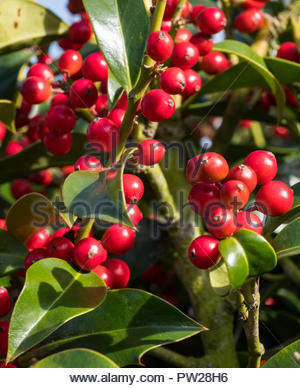 Ripening berries on a holly bush. 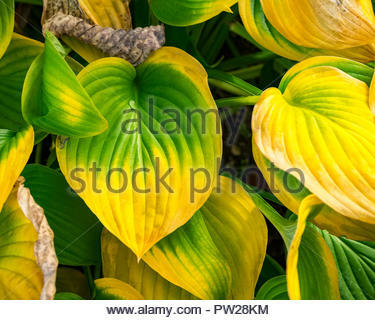 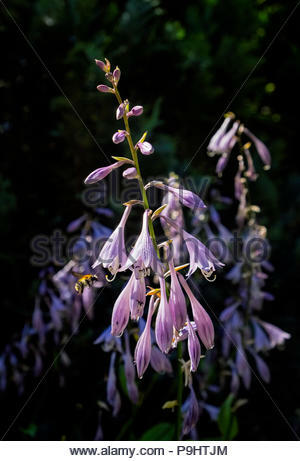 Hosta — AKA plantain lily, giboshi or Funkien — turning a rich autumn color in October as it dies back for the winter. 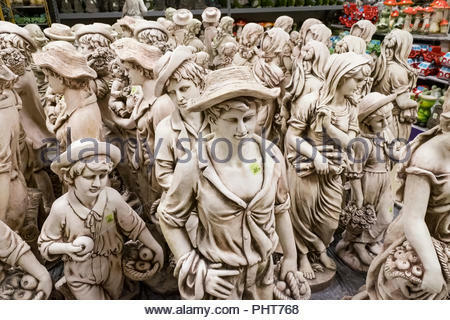 Garden figures are on display at Tuincentrum Oosterik, a large garden store in Noord Deurningen, The Netherlands. 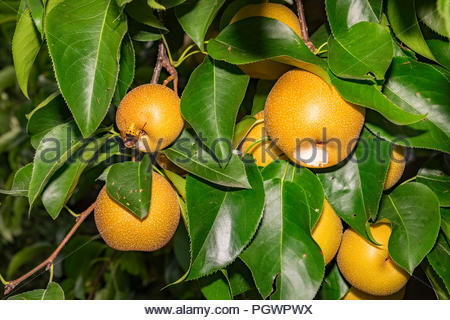 Fruit of Nashi pear tree (Pyrus pyrifolia kumoi) is being eaten by German wasp (Vespula germanica). 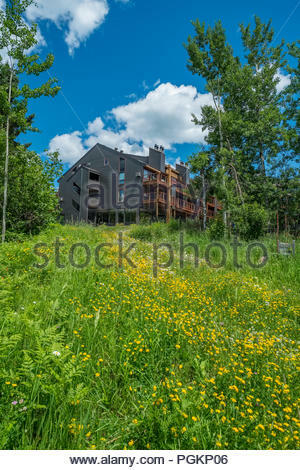 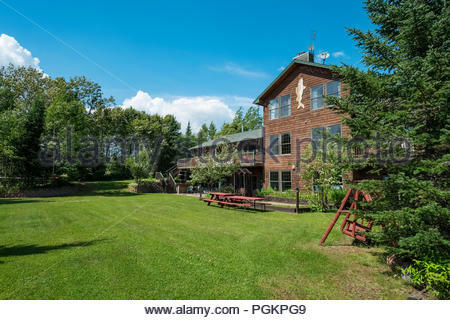 Caribou Highlands resort and condominiums in the Lutsen Mountains ski area, Lutsen, Minnesota, USA. 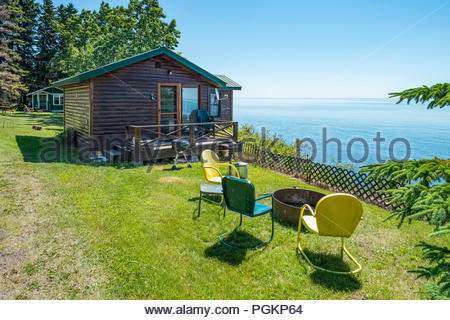 Cabin is perched on a cliff with sweeping views of Lake Superior, near Grand Marais, Minnesota, USA. 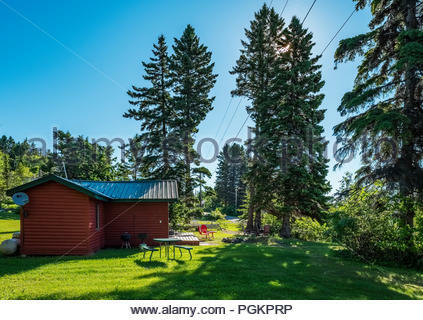 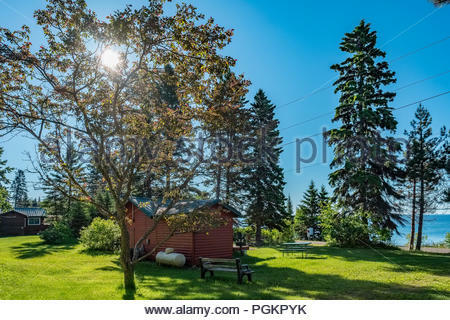 Morning sun filters through evergreen trees by a cabin located a short walk from Lake Superior, near Grand Marais, Minnesota, USA. 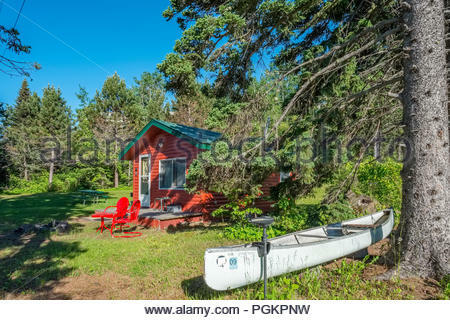 Canoe with electric motor is in front of a cabin located a short walk from Lake Superior, near Grand Marais, Minnesota, USA. 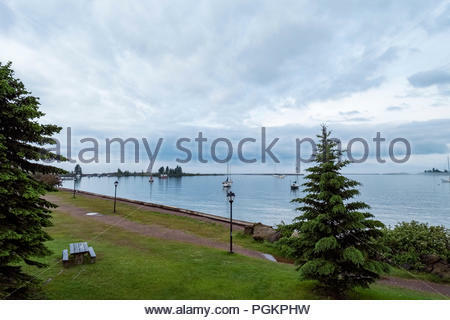 Sailboats are anchored in Grand Marais Harbor, Grand Marais, Minnesota, USA, Lake Superior in distance. 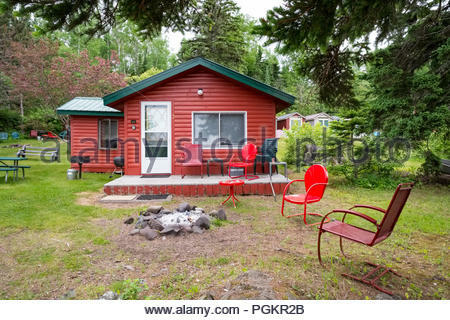 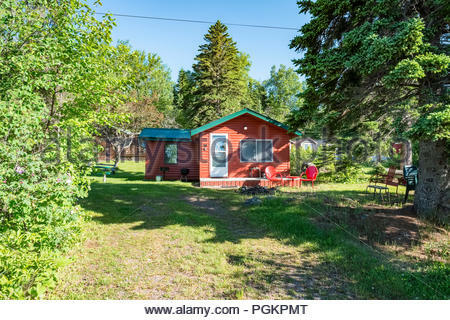 Cabins located a short walk from Lake Superior, near Grand Marais, Minnesota, USA. 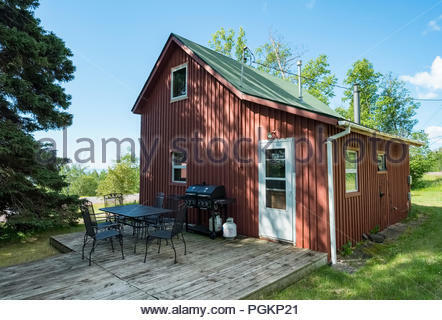 Cabin located a short walk from Lake Superior, near Grand Marais, Minnesota, USA. 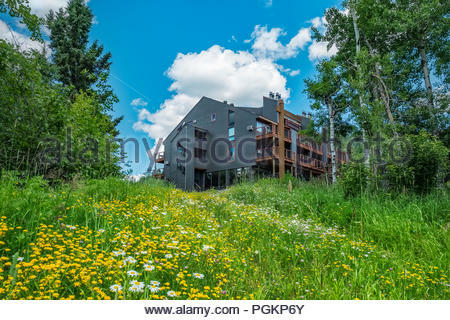 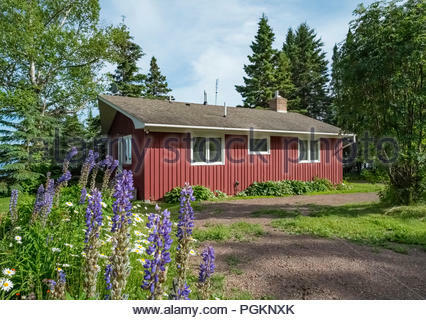 Lupine flowers bloom on walkway to a cabin with sweeping views of Lake Superior in Lutsen, Minnesota, USA. 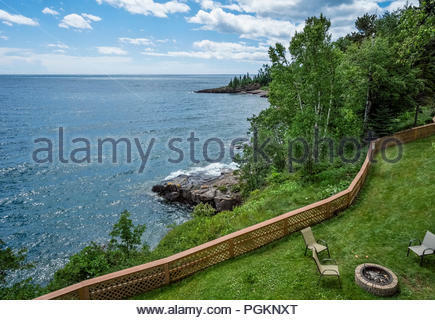 Expansive view of Lake Superior's north shore from a barbecue at Chateau LeVeaux vacation concominiums, Tofte, Minnesota, USA. 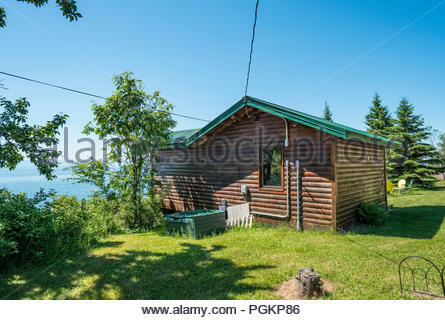 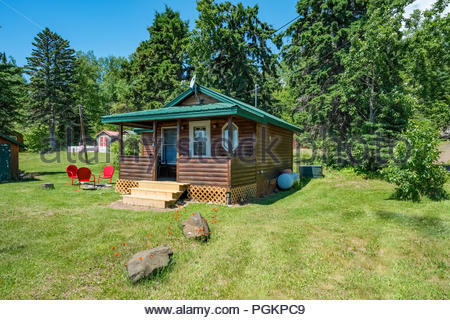 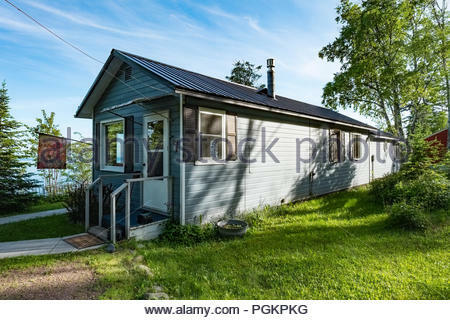 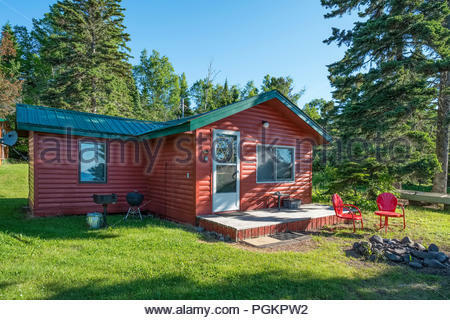 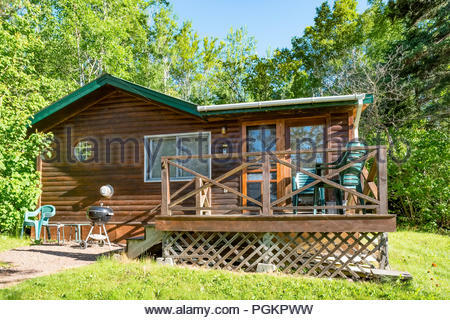 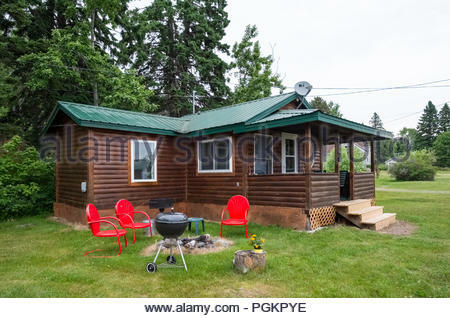 Cabin with sweeping views of Lake Superior, near Grand Marais, Minnesota, USA. 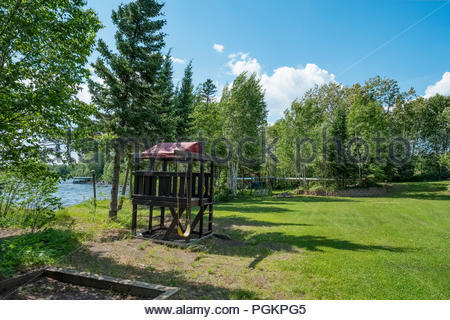 Children's play area at Skyport Lodge on Devil Track Lake, Grand Marais, Minnesota, USA. 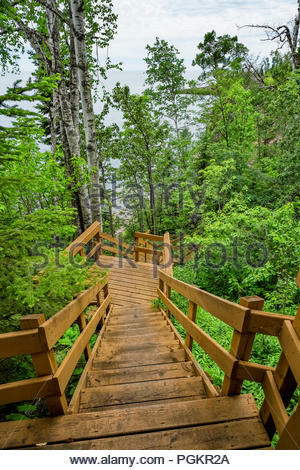 Stairway leads down to the water's edge on the north shore of Lake Superior, Minnesota. 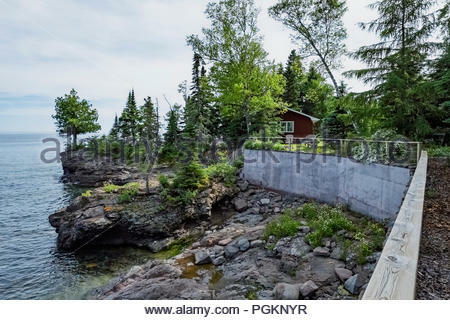 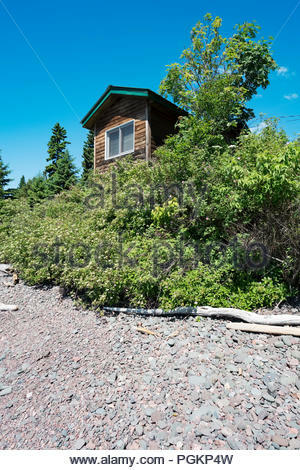 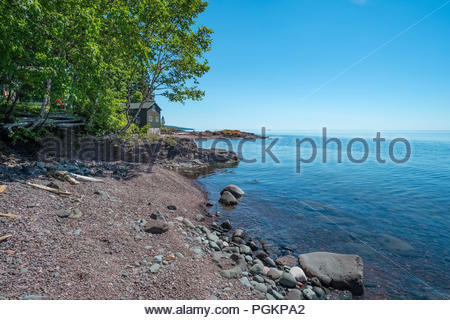 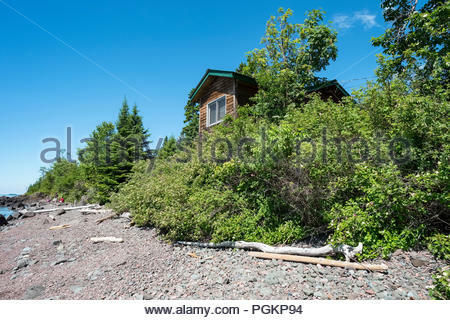 Cabin is perched on a low cliff with sweeping views of Lake Superior, near Grand Marais, Minnesota, USA. 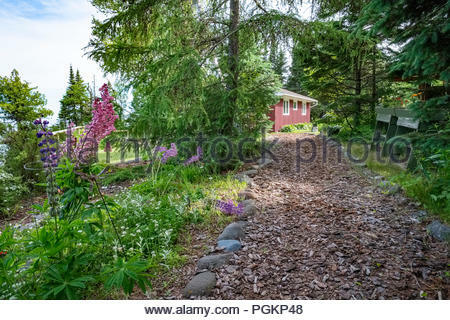 Lupin flowers bloom on walkway to a cabin located a short walk from Lake Superior, near Lutsen, Minnesota, USA. 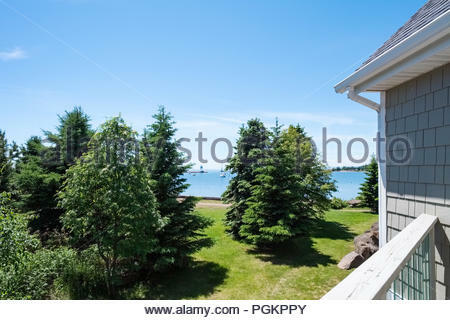 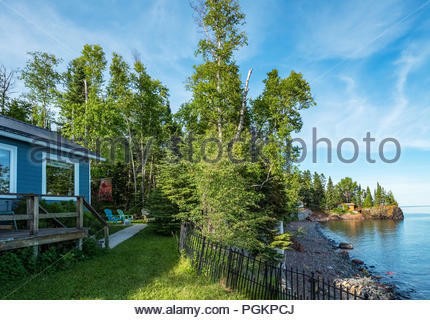 Cabins with sweeping views of Lake Superior, near Grand Marais, Minnesota, USA. 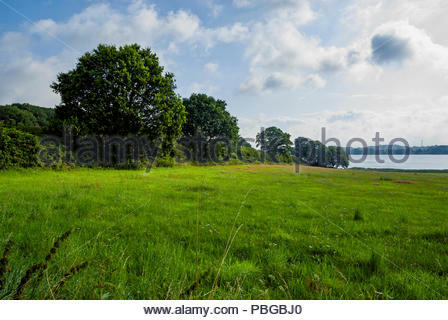 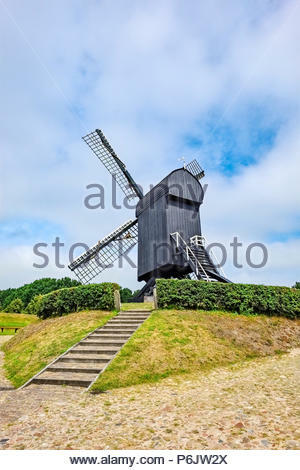 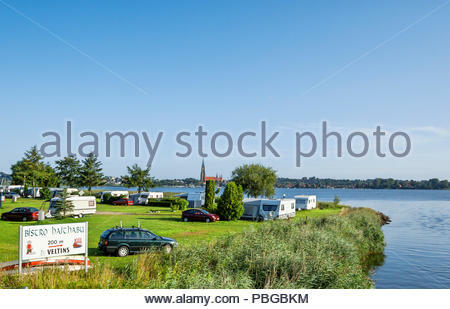 The Haithabu campground, city of Schleswig in background, is across the road from the Wikinger Museum, Haithabu, by the inlet to the Haddebyer Noor. 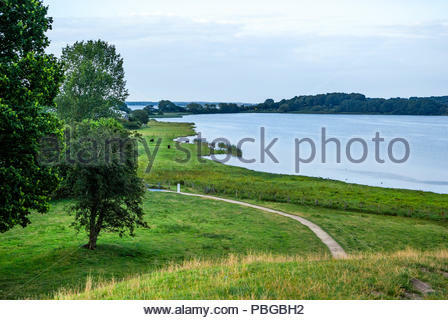 Haddebyer Noor and the Schlei beyond are seen from atop the Dannevirke rampart that encircles Haithabu. 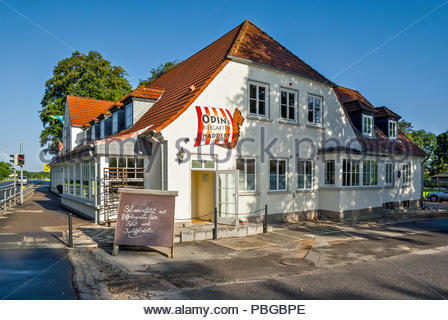 ODINs Historisches Gasthaus Haddeby serves excellent food directly across Bundesstraße 76 from the Haithabu museum. 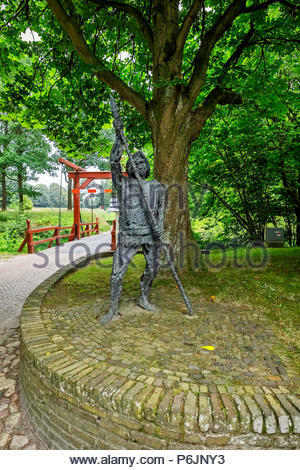 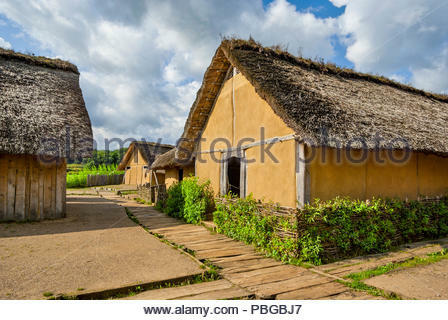 The Haithabu campground is located directly across from the site of the ancient Viking settlement. 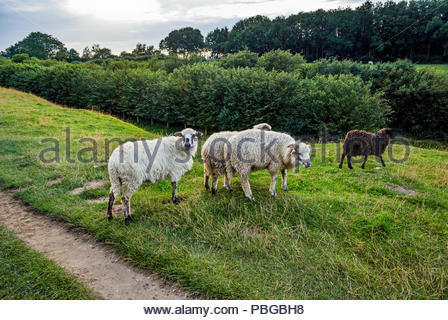 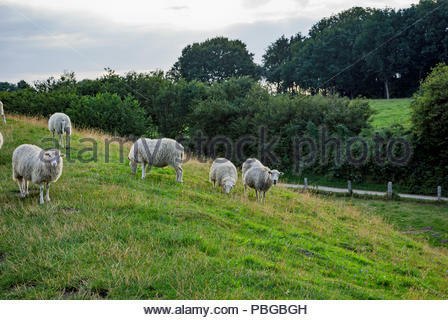 A flock of Walachian sheep graze the Dannevirke rampart that encircles the site of the ancient Viking market town of Haithabu (AKA Haddeby, Hedeby). 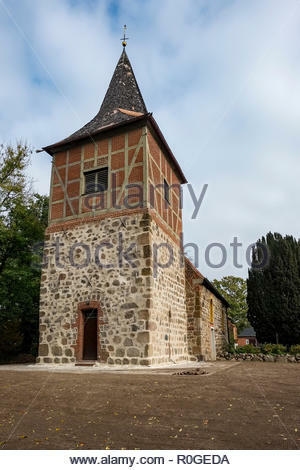 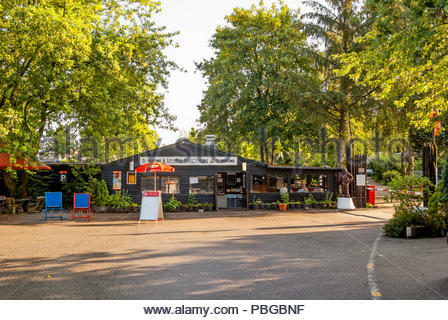 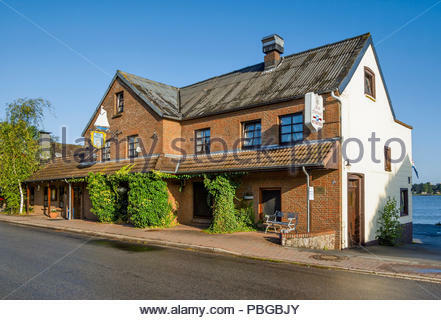 Altes Fährhaus — Old Ferryhouse — restaurant in Fahrdorf near the reconstructed Viking settlement of Haithabu, Germany. 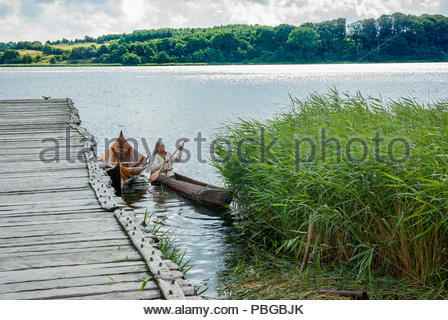 A man wearing traditional Viking costume paddles a dugout canoe into the Haddebyer Noor, the bay at the west end of the Schlei inlet. 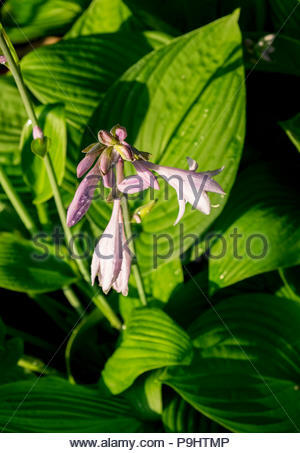 A honey bee approaches a flowering Hosta — AKA plantain lily, giboshi or Funkien — in early summer. 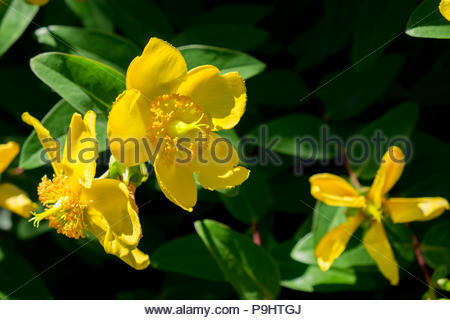 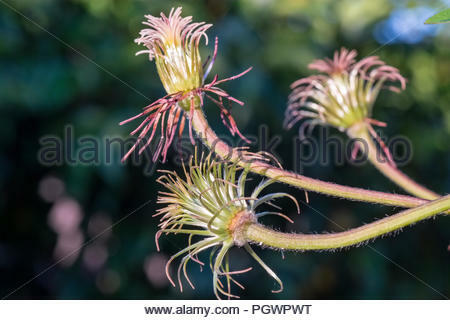 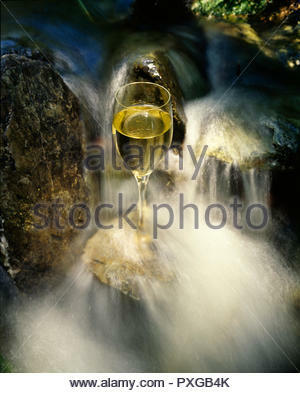 Johanniskraut, or St. John's Wort, an herbal alternative anti-depressant. 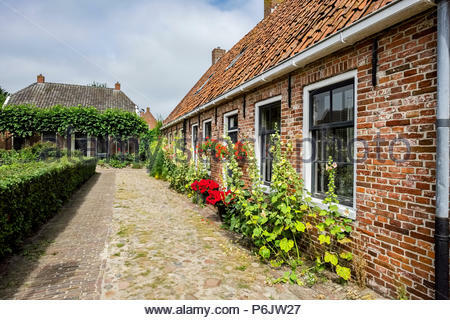 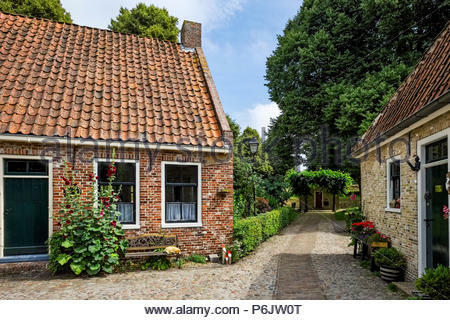 A cobblestone path runs between brick houses in the village at Vesting Bourtange, the star-shaped fortress in Groningen Province, The Netherlands. 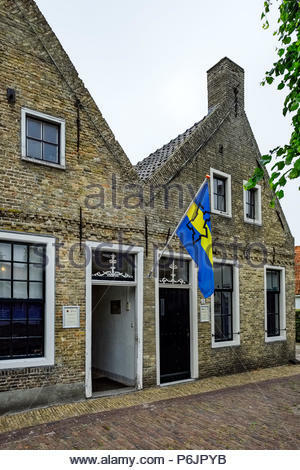 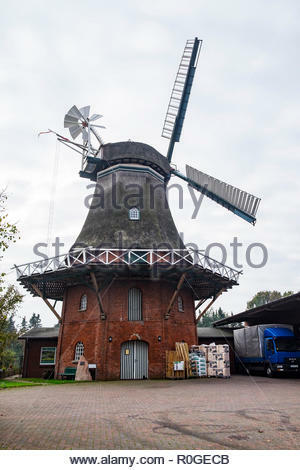 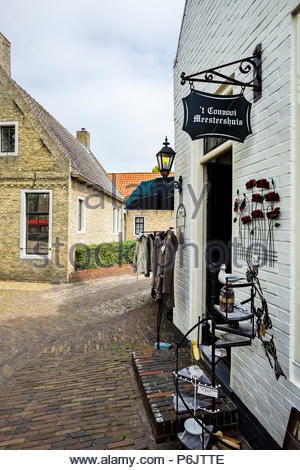 This museum and gallery on the central market square in Bourtange, the star-shaped fortress in The Netherlands, doubles as a clothing boutique. 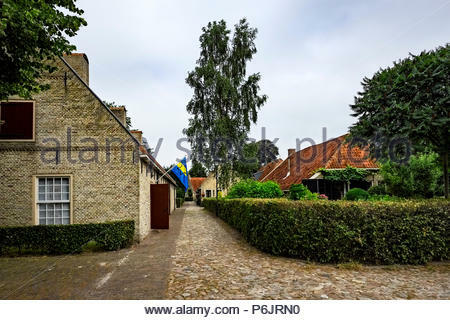 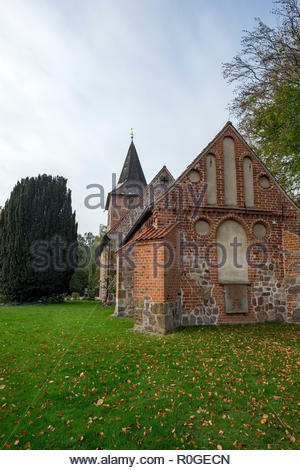 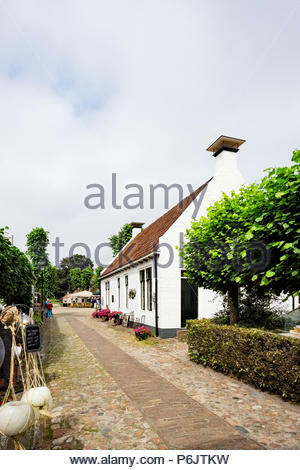 A cobblestone path runs beside brick residences in the village at Vesting Bourtange, the star-shaped fortress in Groningen Province, The Netherlands. 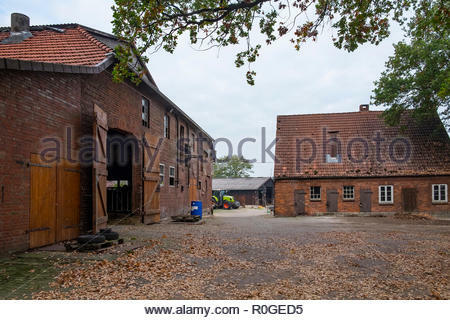 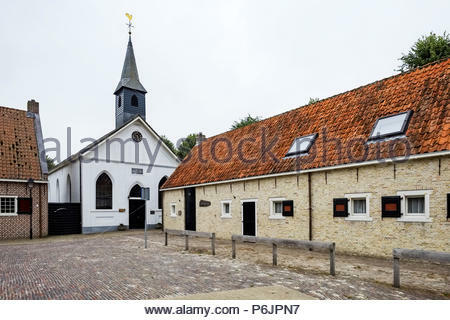 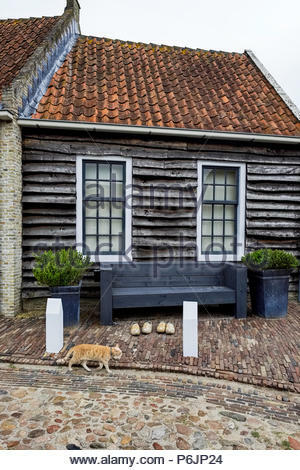 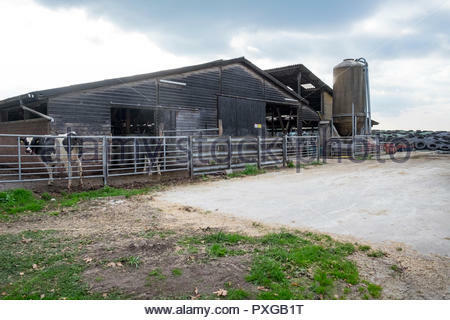 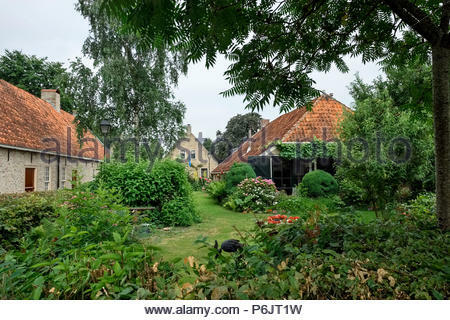 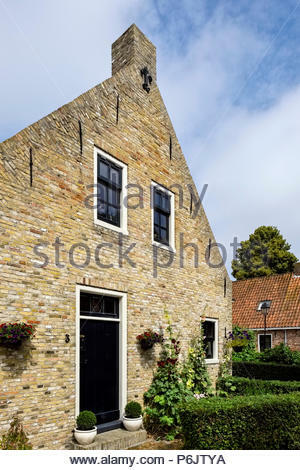 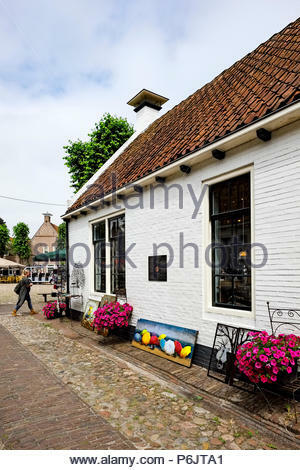 A cat walks by wooden shoes in front of an old house with shiplap siding in Vesting Bourtange, The Netherlands. 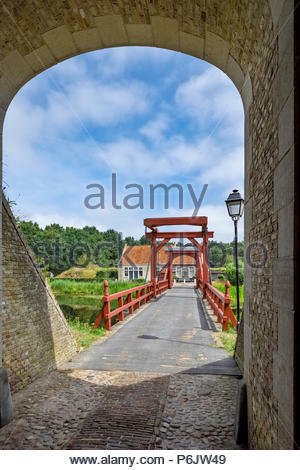 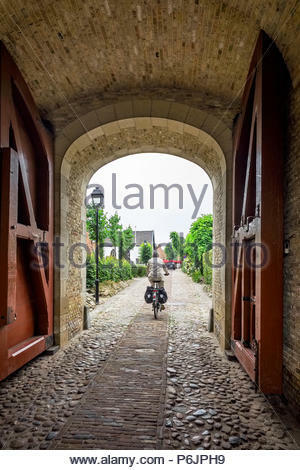 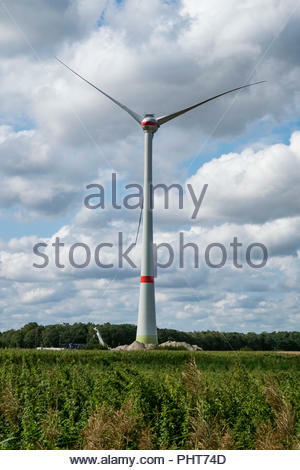 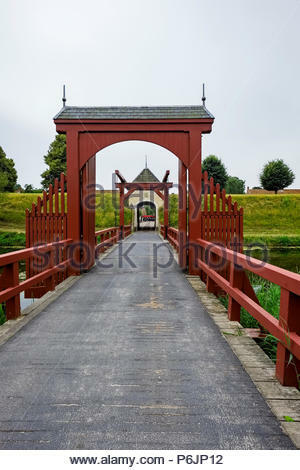 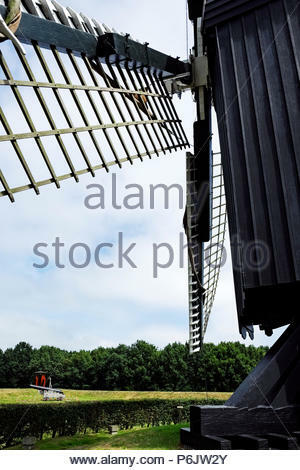 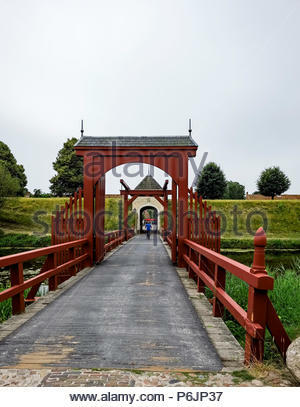 A man rides a bicycle at entrance to Vesting Bourtange, the star-shaped fortress in Groningen Province, The Netherlands.